Totes Adorable – The Best Bags For The Year Of The Pig! Piggy purses and totes for Lunar New Year 2019! Designers have pulled out all the stops when it comes to little piggy purses and bags with stellar style! See my top picks of bags for the year of the pig, from top fashion houses to the high street! Gucci Gang can get down with CNY festivities safe in the knowledge they’re toting the hottest accessory. The luxury apparel brand is following on from their outstanding Year of the Dog collection with cues from Disney’s Three Little Pigs. Playful yet totally chic – brava Gucci! Judith Leiber – Wilber The Pig… Sob! OMG did anyone NOT want to follow in the footsteps of Charlotte’s Web when they were 9-years-old (insisting on having a baby pig obsession throughout their childhood)? I sure did, and this minaudière has won my heart for that same reason. Another cult classic book-about-a-pig was “The Sheep-Pig” a.k.a Babe, which is the moniker for this pretty wicker bag. Fun for a sun drenched scene (but pretty much decorative, otherwise), this bag is perfect for a roll in the hay! Coach has a few piggy themed offerings, including this trail bag, as well as coin purses, totes and additional gifts such as phone cases, scarves, charms and luggage tags. Longchamp has teamed up with Tao Ling, AKA Mr. Bags again this CNY, creating a fun, playful pouch in a clear tote. This is a classic collection from Charlotte Olympia, which still seems to be doing the rounds! 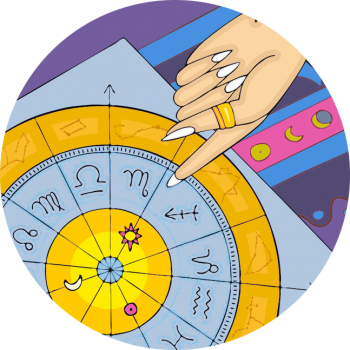 See all twelve signs here, and don’t miss the new flats and clutches for the western zodiac, too. Tory Burch – Peggy The Pig. Not too keen on this Tory Burch character bag but if you are into gold…. This pom pom key ring come coin purse ($99.00 USD) would be fun to find inside your bag! Not sure I’d show it off though! A chic understated pouch for those born in the year of the pig in lucky red makes a nice gift! Finally this tongue in cheek rucksack from Moschino is fresh and funky! Spring / Summer Fashion Horoscope 2019!